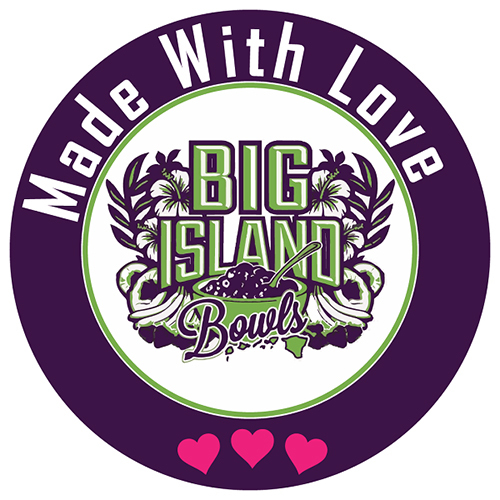 Big Island Bowls offers an array of healthy options, all with a Hawaiian Twist. Brendan and Kelly started their food truck after working at a garden therapy program on the Big Island of Hawaii in 2014. From Poke Bowls to Acai Bowls and Fresh Whole Fruit Smoothies, Big Island Bowls has always been focused on providing a whole foods diet of the freshest ingredients. Our goal is to create food that people enjoy and will make a difference in their overall health and well being. Mahalo for the love and support! 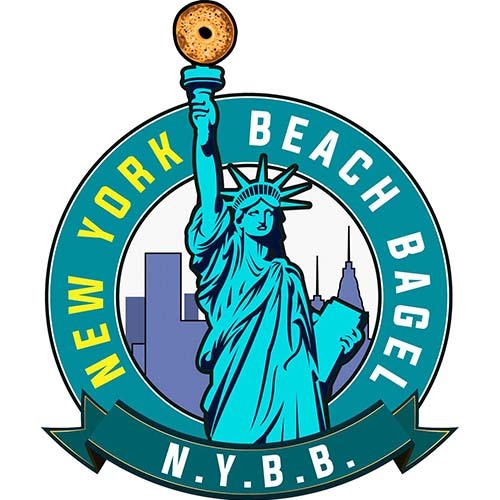 New York Beach Bagels is centered on delivering a fresh authentic New York Deli experience right here in North Florida. Offering only the best Boars Head Cold cuts and real New York Bagels shipped directly from Long Island, New York Beach Bagels is all about satisfying your cravings for the authentic taste of New York. Mike Paladino grew up in West Islip, NY. He has found memories of eating bagels with his family every Sunday morning (his favorite is a whole wheat everything with light veggie cream cheese). Mike, inspired by his father, developed a passion for cooking at a young age. He met co-owner Brendan through lacrosse and the two became close friends. Their love of surfing and warm weather would eventually lead them to Florida. 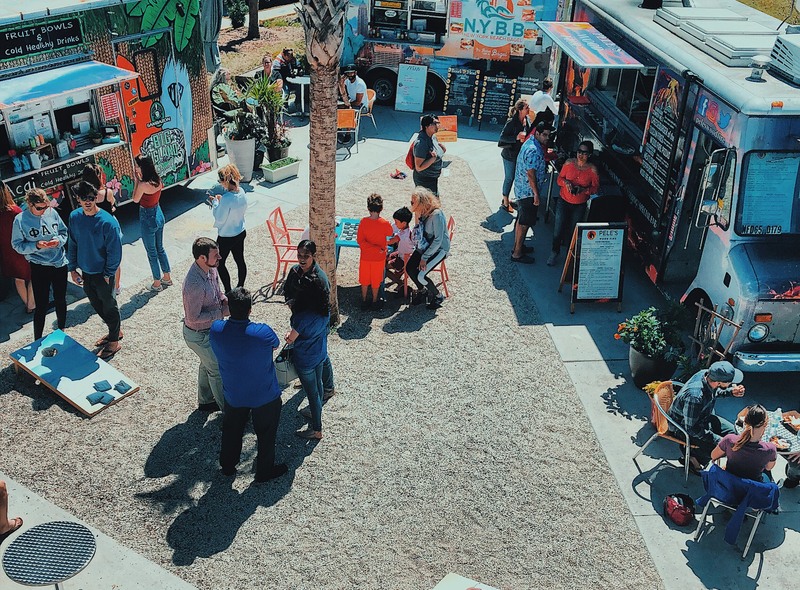 Our award winning “Funk Mobile” executes a diverse American cuisine – with a twist. 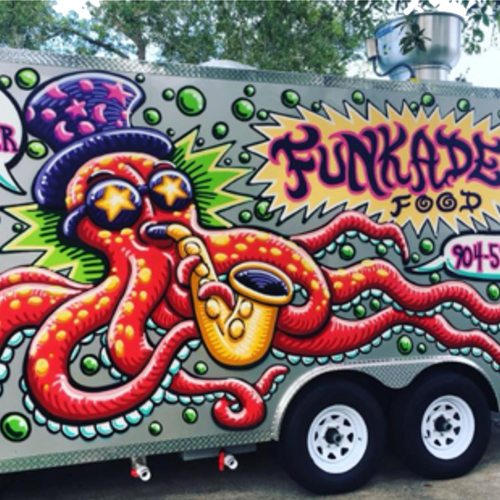 Locally sourced produced when available, Funkadelic Food Truck serves the freshest cuisine around. Our unique fair with a hint of spice makes each dish oh-so-nice. Chef Jerry executes each dish with the upmost passion sharing a blast of flavors within. We have a little something for everyone to enjoy spread from our brisket/short rib/chuck blend burger to our panko fried Royal Red Shrimp Sliders, or perhaps our newest Funkadelic Sweet Potato Tempeh Wrap! This you HAVE to try!!! Come enjoy a fresh dose of FUNK with us 🙂 Stay posted on our Social Media Pages for the latest SPECIAL OF THE DAY!! 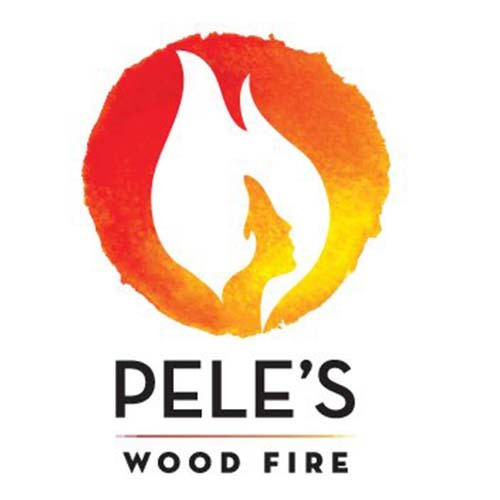 Matt and Rhyan started Pele’s in 2010 with a love for pizza and the passion for wood-fired cooking. Before moving to Northeast Florida, Matt and Rhyan were living on the Big Island of Hawaii. Matt was a pizza cook at Kuki’o Golf and Beach Club near Kona honing his skill of making handcrafted pizza. He was fortunate to be tutored under Executive Chef Michael Bilger at Kuki’o who was renowned previously from Napa restaurant’s, Vivande Porta Via and the Carneros Inn in Northern California. Only the very best was acceptable at Kuki’o, and Matt was always making pizza for the uber-elite of society. 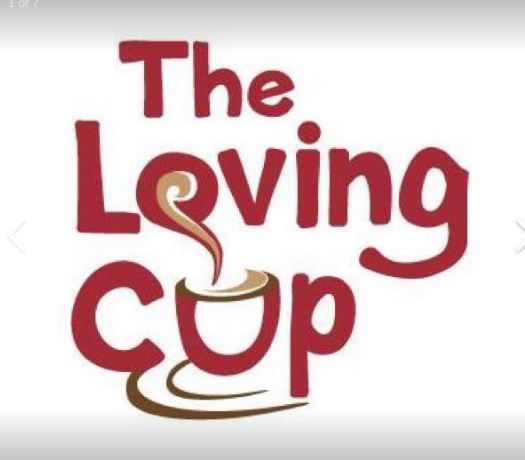 A one of a kind Coffee Shop. Specializing in Cold Brew, Whole Bean and Funky Fraps. We offer espresso drinks as well as coffee creations. Happy to be off the road.